DETECTIVE GORDON™ and THE PENGUIN™ inspired by the hit TV show Gotham! Numbers 80 and 81 in the DC Comics Pin Mates™ series. Retro-styled, 2-inch scale wooden collectibles feature custom, 360-degree details. It’s here: Gotham TV Series Detective Gordon and The Penguin Pin Mates Wooden Collectibles Set from Bif Bang Pow! is ready for your collection! 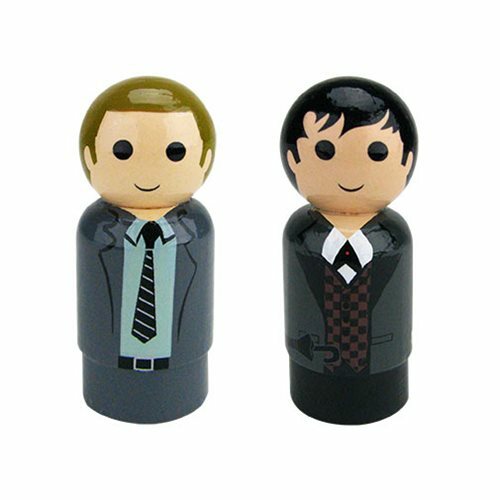 The adorable, 2-inch scaled wooden collectibles featue DECTECTIVE GORDON™ and THE PENGUIN™ from the hit TV show Gotham. They add to the growing line as numbers 80 and 81 in the DC Comics Pin Mates™ series. DECTECTIVE GORDON™ and THE PENGUIN™ feature highly detailed, brightly colored, 360-degree artwork that includes custom hand-painted artwork. Ages 14 and up.